China is a country famous for its silkworm, pandas, and of course, dragons. But, did you know that the country is also the home to different Chinese dog breeds? 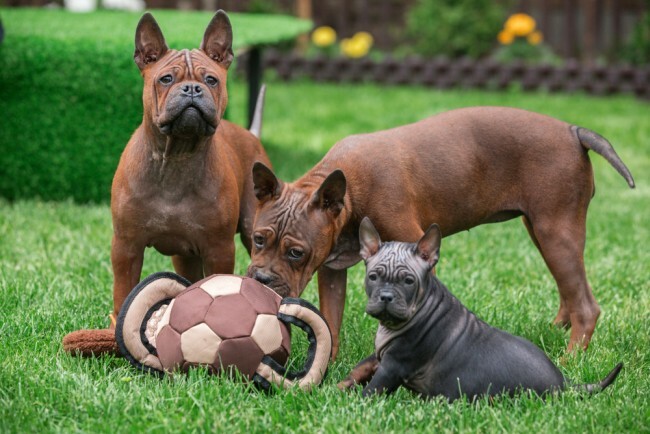 Whether you are looking for a small, fluffy, hairless, or big pooch, you can be sure that you will find the perfect breed suitable for your preferences. Based on historical evidence, it has been revealed that dog domestication was first initiated in the Middle Kingdom. This could be traced back to 15,000 years ago when scientists identified a maximum genetic variation. The history of China also had a time when the elite and the rich patronized some canine species. Fast forward to the present day and the Chinese have now grown to become dog lovers. 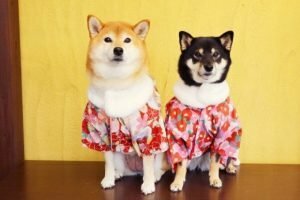 It is now very common for Chinese families to have pooches in their homes in spite of the strict regulations of the government. This means it is only a matter of determining which particular Chinese dog will be most compatible for you and your whole family. 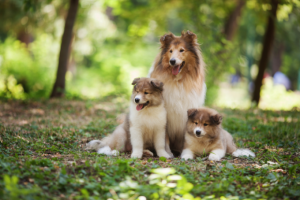 ​To help you with your decision-making process, here are the top 11 most popular Chinese doggie breeds and their respective temperaments and characteristics. The Pekingese that exudes royalty in every sense of the word is no doubt the most famous in this entire Chinese dog breed list. Aside from their amiable demeanor, they are also rich in legacy. During the 8th century, China’s Tang Dynasty members revered this particular breed to the extent that you can only own one if you are a royal. This was given its name as a way to commemorate the Chinese capital Peking, which is now known as Beijing. This Chinese canine breed has definitely come a long way from its sacred status back in the days. They are now being bred in many corners of the world and people can own them no matter what their social status is. A notable characteristic of the breed is none other than its golden coat of fur which made it earn the nickname of lion-dog or sun-dog. The Pekingese does live up to its nicknames because it can be as cheerful as bright days of summer and exude the same level of braveness of a lion. Dignity always comes first with this breed and to some extent, this also dictates the behavior of this pup. 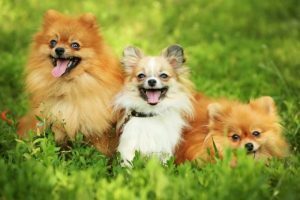 Although this breed is relatively small-sized, affectionate, and cheerful, it is very rare for the Pekingese to settle down comfortably on your lap. 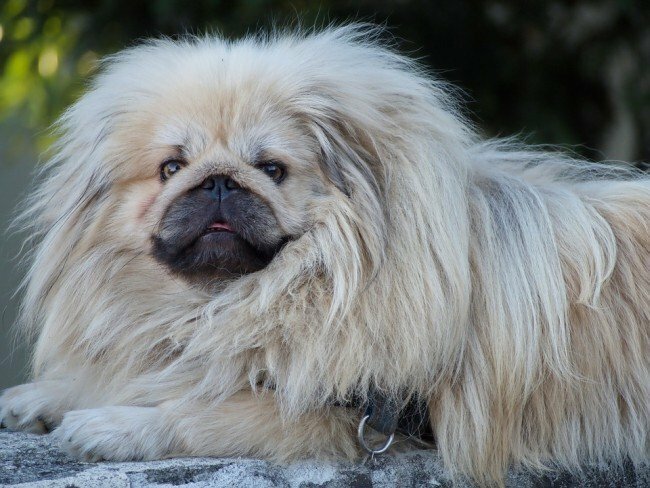 Although they are family friendly, the Pekingese assumes an air of arrogance when surrounded by strangers. It is a behavior that showcases their imperial history. More often than not, the Pekingese is very calm but if it is not, you as the owner must be fully prepared to deal with the world’s most stubborn pet. 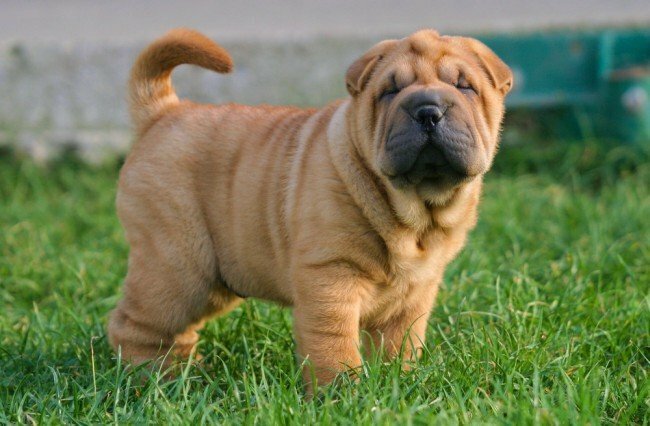 It was believed that it was around the time of the Han Dynasty or during 200 BC when the Shar-pei first came to existence in a Southern China village. This is the reason why this is among the most ancient Chinese dog breeds that survived up to this day. The Shar Pei easily stands out from the rest of the breeds thanks to its wrinkled forehead, small ears, hippo-like head, and blue-black tongue. 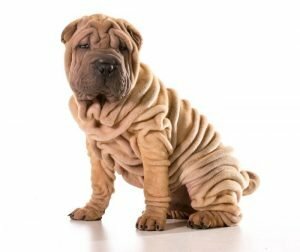 Its name Shar Pei is actually a Cantonese word that means sandy skin. It is an indication that this breed earned its name because of their rough coat whose texture resembles that of sand. Through the centuries, this Chinese canine breed has been valued for their courage and tenacity. They have proved their value as guard dogs again and again because of their extreme protectiveness towards their home and family members. But, in spite of these traits, these puppies are not really belligerent by nature. In fact, when given a choice, they avoid getting into any fight. In general, the Chinese Shar-Pei is very quite although they are also famous for having one of the highest IQs among other canines. There are instances when this remarkably high intelligence can lead to stubbornness. Thus, if you want to minimize it, it is necessary to put your Shar-Pei through some sort of behavior training. You can expect fierce loyalty from the Shar-Pei but they can exude an aggressive stance when there are strangers around. This is the reason why socializing them through regular walks must be a part of their day to day routine. A famous Chinese dog that is too adorable to ignore is none other than the Pug that can also be a very dependable companion. This specific breed can be best described as affectionate, playful, extrovert, and at times, even quirky. The Buddhist monks patronized the pug during the 400 BC. This is the reason why the breed was also a staple feature in many monasteries. Pugs could be fawn or black but its most unique feature is none other than its pushed-in nose with lots of blackness throughout the face. It gives them an impression as if they are wearing a black mask. 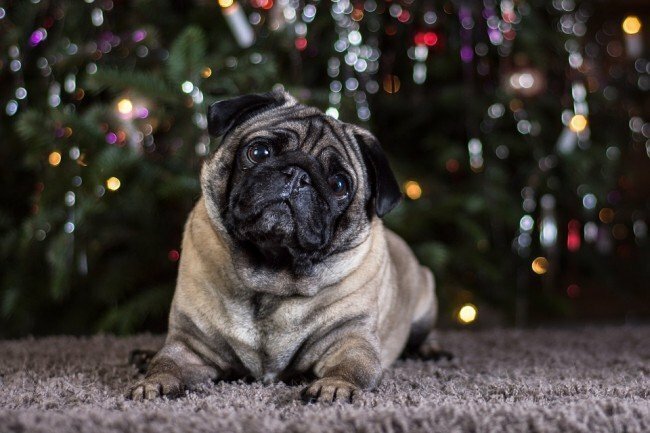 Regarding emotions, the pug is considered as one of the most stable Chinese dog breeds not only in China but also in other parts of the world. This can be comfortable in all settings provided that the members of the family are around. They can settle in well in an individual house, a farm in rural areas, or even in an apartment. This small Chinese dog also adores kids that make them an ideal choice for families with children. The Tibetan Spaniel, associated with monasteries and monks, is preferred because the Middle Kingdom loved the lions. This pooch is alert enough to work together with its stronger and bigger counterpart, none other than the Tibetan Mastiff. When together, these two can safeguard territory and effectively warn their owners of any intruders. Meanwhile, they are also very obedient to learn different tricks their owners taught them. They also serve as entertaining companions. 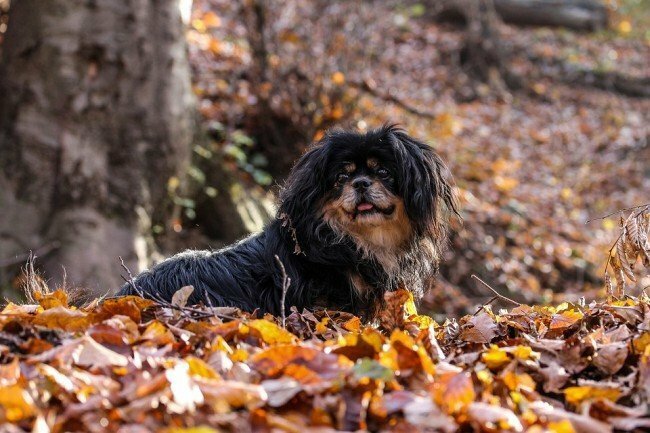 The Tibetan Spaniels are very affectionate but they are also sensitive to the mood of their owners which makes them qualified as the most understanding pet. However, they are also big fans of the couch, spending most of their days there. But, because the Chinese consider Tibetan Spaniels as bearers of good fortune, owners don’t really mind if these dogs just lounge around the house all day long. Anyone looking for a hairy, strong, dignified, and large Chinese dog will surely find the Chow Chow as the perfect option. Even though there are some controversies associated with the exact origin of the breed, Chow Chow boasts of an ancient legacy which could be traced back to 11th century BC. Though its tongue of bluish black color makes it a novelty out of all the canine breeds, its thick mane around its head makes it look like a lion. Aside from that, the thick fur of Chow Chows also causes many people to associate them with bears. 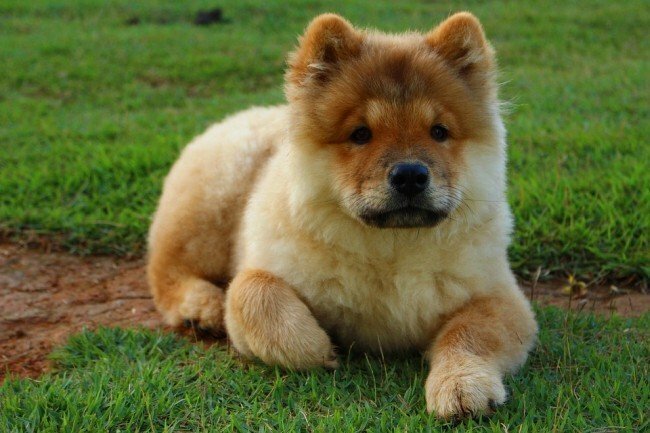 Considering its inherent strength and size, the Chow Chow traditionally fulfills roles of being a sledge-puller and a hunter. But, they are considered as protectors these days in general. Never expect a Chow to play cute, run around, or do your bidding such as following you or fetching your slippers. This Chinese dog breed is so far the most independent and the most aristocratic. But, it is often viewed as a dumb breed of dog, yet this dog is just aloof and arrogant. Due to this, you should start socialization as early as possible. Regular grooming is a must, especially during summer time when thick fuzz might pose a problem. Tibetan Mastiffs have stood the test of time. Back then, these dogs served Alexander the Great and recently, they guard the Dalai Lama. Being a muscular and big as a leopard, Tibetan Mastiffs are intimidating. However, through investing in one, you’ll need to acquire loyal companions that would protect and guard your home against adversities. The confident gait of Tibetan Mastiffs is the first thing that’d strike you once you watch them walking. Shift your attention a little and their coat will strike you like a combination of soft wool that is covered by rough outer texture. The deep chest of Tibetan Mastiffs is another distinctive feature. But, you have to be wary about these dogs’ deadly bite, which can be lethal sometimes. Currently, a Tibetan Mastiff is considered as one of the costliest dog breeds around the world. As a matter of fact, the most expensive dog solve was actually this breed. Mastiffs are alert always. With the dog’s unlimited stamina and ferocity, it may take time to size up the case and consider planning a strategy before you jump into a fight. 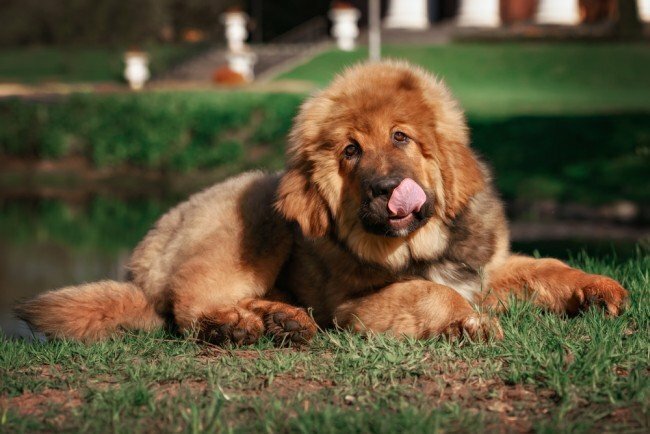 Tibetan Mastiffs are most compatible with the owners who believe in giving pets a wide berth and a particular level of freedom when it comes to decision making. 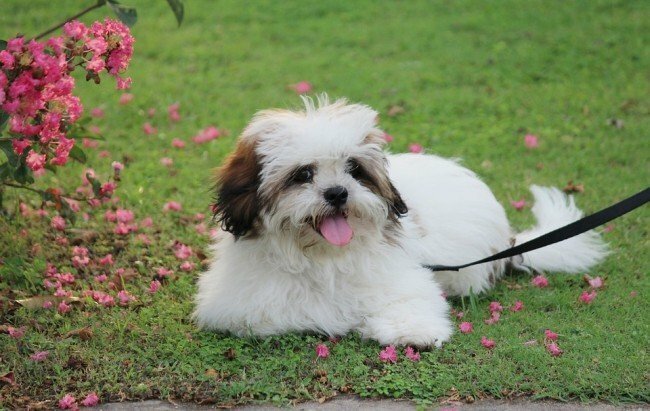 Shih Tzu’s popularity arises from the fact that it’s a wonderful companion who loves tottering at the heels of its master and sleeping on her or his lap. In short, they are perfect Chinese lap dogs. Shih Tzu might remind you of the flower because of its nose poking out from a mass of hair that flows out of its head in every possible direction. Its mouth is also a distinctive characteristic wherein its upper jaw is narrow compared to its lower jaw, which can cause its upper teeth to fall within its lower teeth. 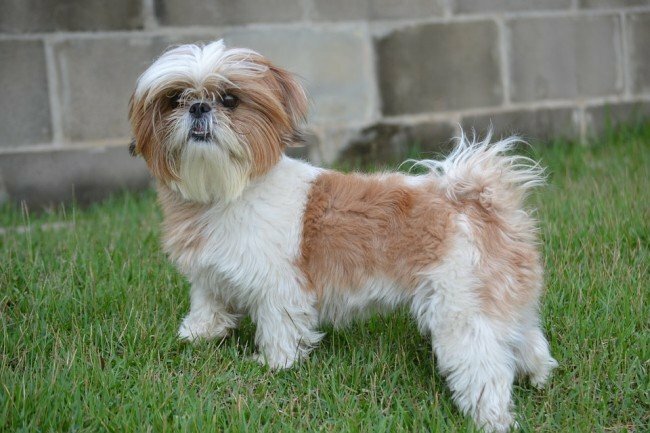 Shih Tzus are the happiest dogs when their owners are around and don’t mind living in an enclosed space like apartments. But, it should be groomed every day and can show signs of discomfort once the temperature rises. 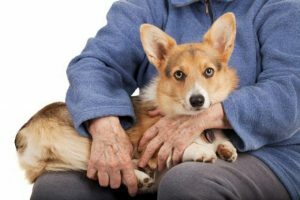 This means that these dogs are ideal for those who have lots of time like elderly couples or anyone with minimal domestic duties. Chongqing dog’s affinity towards its family is what renders this breed apart. It’s true in spite of the serving as a guard and hunter for the home. It was when the Han Dynasty ruled the country of China that Chongqing reached fame in the country’s southwestern part. Since then, these dogs have been revered as one of China’s natural breeds. Having deep-brown muscular dog around like Chongqing dog is reassuring as it can help you with protecting your property. The inherent ability and sharp instincts to remain alert make these dogs the perfect guard dogs. Expect Chongqing dogs to be fond for family and children, yet regarding strangers, this breed of dog is bound to take on aloof stance. They might not be competitive, yet wary of strangers that reveal their presence at slightest hint. However, with enough socialization during its early years, this dog can be a good family dog. Chongqing dogs are brave and known for their devotion and loyalty. As long as you are a consistent and firm owner, these dogs will protect you and be obedient at all times. When it comes to appearance, Kunming Wolfdogs will remind you of German Shepherds due to its athletic physique and head-size. However, when you look at these dogs’ small feet, you can’t help but compare them to the cats. Like a feline, this Chinese dog breed straightens and fluffs up its bushy tail as an alertness sign. Given their agility and instincts, Kunming Wolfdogs are perfect for military and police work. They might not be as famous as family pets, yet this trend changes gradually. The main reason why they are underrated family dogs is for the reason that they need mental and physical stimulation constantly. It’s something that not all households can give dogs. For a big breed, this Chinese dog breed is well-behaved and loves to perform tasks for its master. 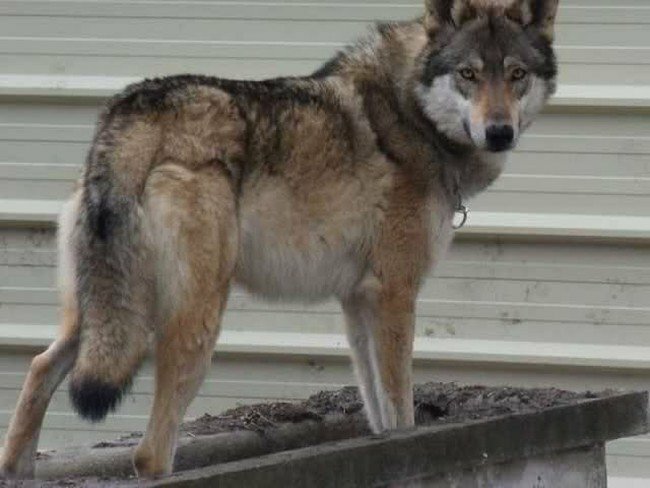 In fact, a Kunming Wolfdog will accept obedience training gladly. From day one, these dogs tend to try to assume the role of leadership. Be careful and consider establishing your dominance as alpha in terms of Kunming. Because of that, these dogs can be unpredictable and must be monitored always. 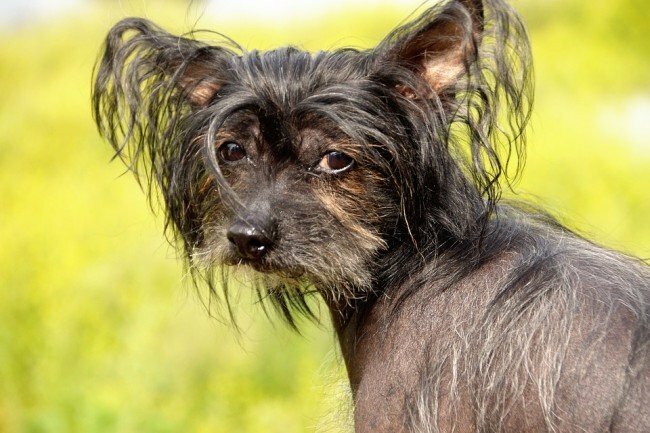 For those who like bald as beautiful and allergic to pet hair, Chinese Crested is one of the Chinese dog breeds you should consider. What makes this dog unusual is that it isn’t really bald. There’s a tuft of hair on its head, which resembles a crest and some on its feet that serves as socks. There’s also hair on its tail’s tip, providing it a cute and bushy appearance. Chinese crested are hairless dog breed that other people consider them as ugly. But, others find them charming. There are times that they are known as Treasure House Guardians because they’re bred by Han family members and mandarin. They also have a history in the country of China that goes back to hundreds of years. They’re popular in America because of Gypsy Rose Lee, a flamboyant stripper. She owned some of them and took all of them wherever she went. Chinese Crested dog are a small and beautiful boned breed of canine that are graceful. Their ears are large and erect. Their almond shaped eyes radiate warmth and dark. They have long hair and dexterous toes. Some owners say that they can curl their toes around their master’s fingers. Males are measured less than 13” at their shoulder while the females might not exceed 12”. Like some hairless breeds of dogs, Chinese crested canines aren’t really hairless. They get their name from the crest of the hair on their head that are frequently tied to a topknot. They also have hair on their own feet, making them look like having built-in socks. They also have small plumes on the tail. Their skin is warm and others say that they have a satiny feel. 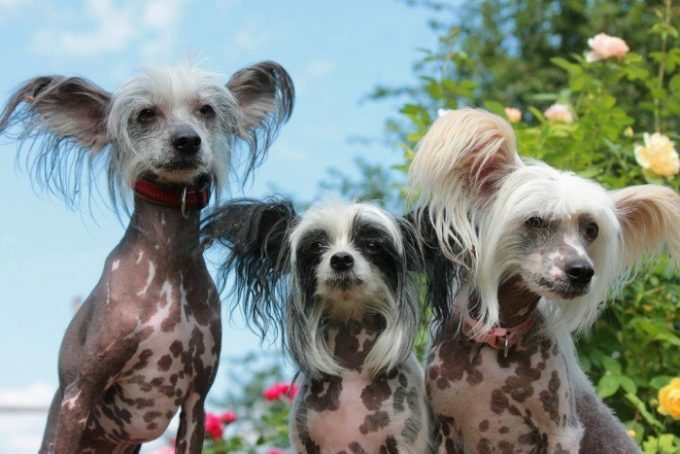 Chinese crested dog are also hairless species. Some hairless species are Peruvian hairless and Mexican hairless. These dogs were discovered in 2008 and FOX13 is the single gene that is responsible for the dog’s baldness. It is a long-haired, small dog from Tibet, where it is known as the Bark Lion Sentinel Dog or Abso Seng Kye. 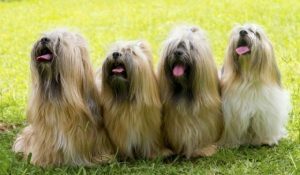 Raised in villages and lamaseries around Lhasa, these dogs were bred to be a guard dog of houses while the Tibetan Mastiffs guard the outside. Because of their duty, they are bred for sensitive hearing, intelligence, and sense to distinguish friends from the intruders. Sometimes, these dogs are referred to as Tibet lion dogs in the west. This is due to their lion-like coloring and long manes. Lhasa Apsos are alert and keen, responsive to affection, easy to train, yet hostile to the strangers. Generally, they stand no more than 11” at their shoulder and come in different colors. Lion-like and golden colors are most preferred.